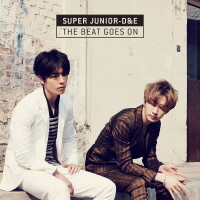 Since 2012, Super Junior's Dong Hae and Eun Hyuk have released multiple singles and an album in Japan as a duo, and last year they even held a nationwide Japanese tour. Now they're finally putting out their first physical release in Korea! The popular SuJu subunit charms K-pop fans anew with a colorful range of dance, disco funk and R&B ballad tracks in The Beat Goes On.